I can’t participate. What is your cancellation policy? Due to the upfront nature of event costs, all entry fees are non-refundable. All participants acknowledge and accept this policy during the registration process. This policy stays in effect whether you are injured, have an unexpected business trip, family emergency, illness, pregnancy, etc. DEFERRALS*: While refunds are not possible, you can defer your race registration to the following year’s event. In order to defer your race registration please fill out the defer form with a Payment. There is a $40 deferral fee until Dec. 1st, no deferrals after Dec. 1st. Deferral deadline: DEFERRALS will be accepted till December 1, 2019 after a $40 fee. The finish line will remain open for 4 hours. Participation support (aid/water stations,volunteers, course marshals etc.) will not be guaranteed after that time and you must adhere to local pedestrian rules (sidewalks etc.). 5k time limit is a strict one hour. There will be water at the start & finish line and approximately every mile along the course. Starting at the second water station. Orange Ultima Replenisher, is our official on-course drink again this year! With all 6 electrolytes plus support minerals, no sugar or carbs, zero calories, real fruit flavors, plant-based colors and sweetened with stevia leaf — you’re getting the perfect electrolyte balance you need to replace vital minerals lost through sweat, in a formula that is pure and simple. Ultima is hydration done right! They’re your go-to choice for healthy replenishment so you can feel and perform your best. 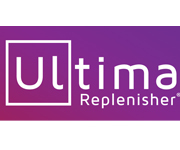 Want to train with Ultima before race day? Visit their Amazon storefront amazon.com/shops/ultimareplenisher and use code: ULEVENTS for 20% off all their products. Inside Turtle Kraals and Outside Half Shell Raw Bar, 231 Margaret Street. Saturday, January 18, 2020, 12pm – 6pm. Limited packet pick up on race day from 5:30 am – 6:15 am for Pre-registered participants ONLY. Limited packet Pick Up Race Day 5:30am – 6:15am. No Race Day Registration. We have dozens of jobs available to fit a variety of time schedules and abilities. Please check out our volunteer page HERE or email contact Chris or Connie @ chris@sub5racing.com..
Headphones Strongly Discouraged. If you must have music, you must leave one ear open (for your safety) or you may be subject to disqualification. Live music & entertainment along the course. We use a bib chip system with chips affixed to your bib. Please do not fold the bib and please wear bib outside of clothes or you may not get timed. Awards will be given to: Overall Male/Female 1-3, Master Male/Female 1-3, and five year age groups Male/Female 1-3. Great Caribbean trips and other prices for Overall winner’s! Raffle for all participants! If you cannot attend Awards Ceremony. E-mail us a request to have your award mailed. A $10 Shipping Fee will Apply. 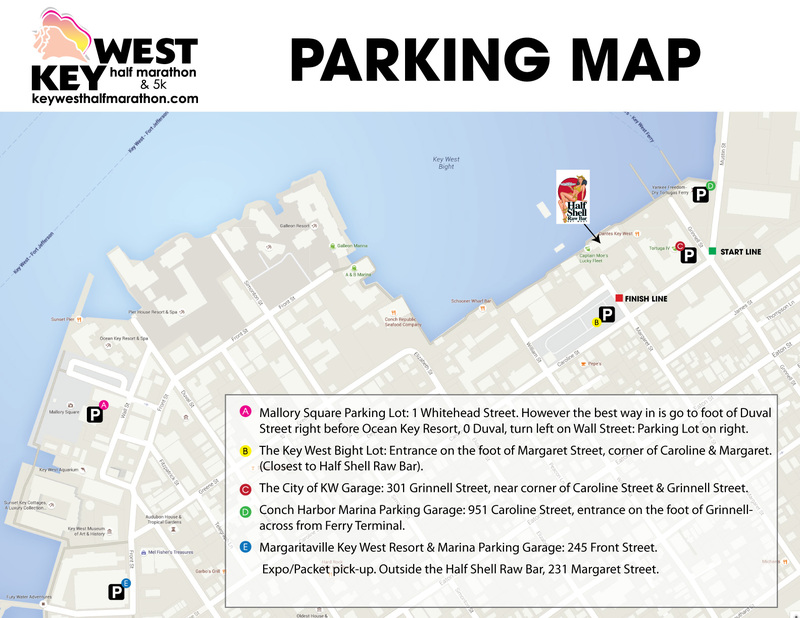 Ample parking within a block of start/finish area if you arrive by 5 am. We strongly suggest you arrive by taxi, Uber, Lyft or bicycle. City of Key West lots: Corner of Grinnell/Caroline and Margaret/Caroline, Conch Harbor Marina. Mallory Square lot and Westin lots are within 1/4 mile of start/finish. City parking lots are free on Sundays till 12 Noon. We look forward to capturing your awesome race and smiling face on race day! Click Here for all your Key West Hotel Travel & Information!! !